Col Muammar Gaddafi has a “suicidal plan” to blow up the capital Tripoli if it is taken by rebels, the Kremlin’s special envoy to Libya said. Mr Margelov met Libyan Prime Minister Baghdadi al-Mahmudi last month. “I imagine that the Gaddafi regime does have such a suicidal plan,” he added, saying that Gaddafi still had plentiful supplies of missiles and ammunition. But Mr Margelov, who has had rare access to senior Libyan officials, questioned reports that Gaddafi could be running out of arms in the drawn-out conflict. 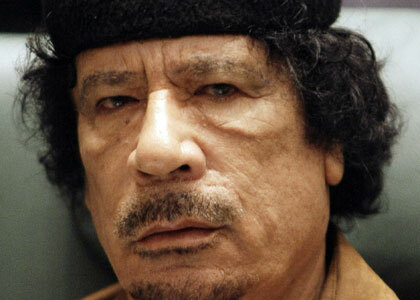 Gaddafi had still not used a single surface-to-surface missile, he argued.